In what was a very scary incident, Russia’s goalkeeper Igor Akinfeev was hit by a flare fired from the stands, due to which the match was suspended. Play then resumed after some time but was suspended by the referee for a second and final time in the 67th minute following another crowd disturbance. 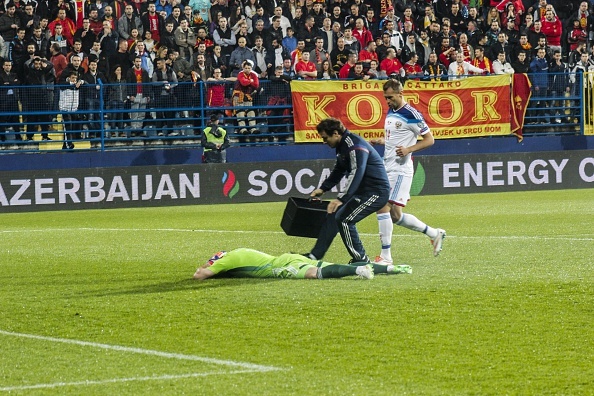 Akinfeev was hit by the flare immediately after the match had kicked off, and he went down instantly. He was then taken to the local hospital in Podgorica after he was stretchered off the field in a neck brace. The match was suspended in the 67th minute after a Russian player was hit by an object thrown from the stands, after Roman Shirokov’s penalty was saved by Montenegro’s Vukasin Poleksic. Referee Deniz Ayetkin stopped the match for a second time. UEFA sent out a statement saying, "UEFA will wait to receive reports from the delegate and referee to open disciplinary proceedings." 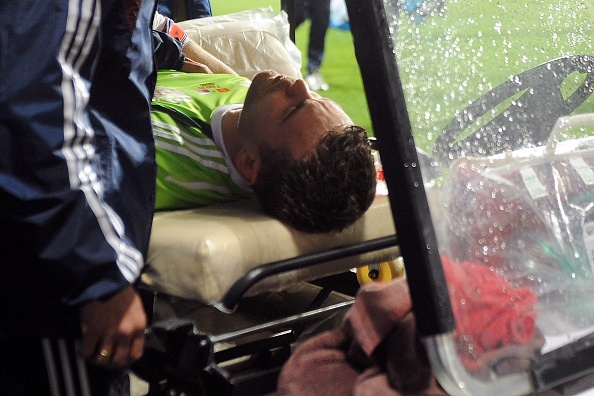 UEFA doctor Slobo Mandic went with Akinfeev to the hospital and said the goalkeeper was conscious. He indicated that the brace was put on as a precaution, saying, "I hope he will be fine." Miljan Zindovic, a doctor in the Emergency department at the hospital, said that Akinfeev had suffered a neck injury and minor burns. He didn‘t have any major injuries, but will be kept in the hospital for ”a few hours” under observation, he said. The police have arrested the Montenegro fan who threw the flare, and the stadium announcer had previously announced that the match would be abandoned if there was any other instance of crowd disturbance, which is precisely what happened.